Seeing the other brands, if you are tempted to the large screen and a bigger smartphone and that too from Apple, there is no way you will deny this offer. Larger iPhones are on the way, according to a new report. Bloomberg reported that Apple has plans to kick-start production in China within the next few months on two new iPhones that will feature larger screens. The new bigger iPhone will hit the market quick because the report indicates the devices will be ready to ship to retailers in September. It will have a screen that is 4.7 inches by 5.5 inches and the device will be rounder and thinner than the iPhone 5S, sources told Bloomberg. The decision of taking larger displays is a bid to enable the Cupertino company to better compete with the larger-screened Smartphones from Samsung and HTC. 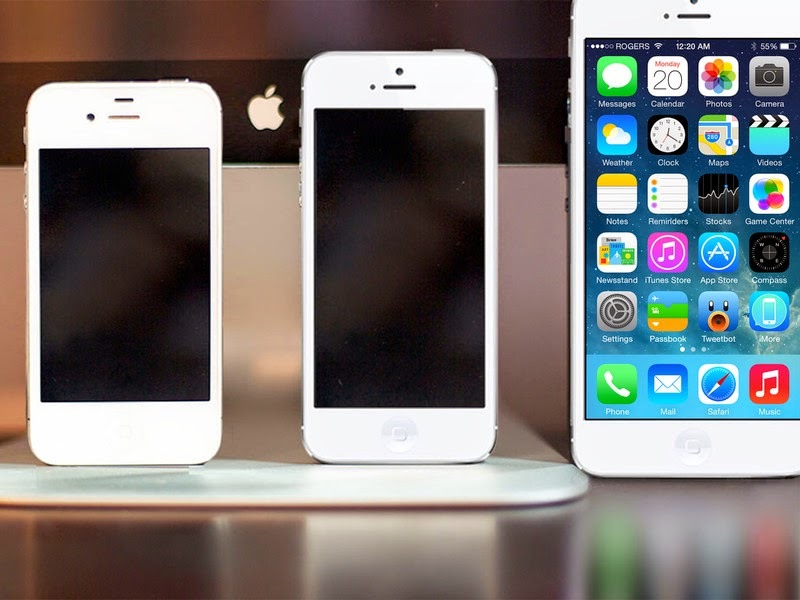 Some internet sources spread rumors that a 5.5-inch iPhone 6 suggest the device will not be available in large numbers due to its use of a sapphire display cover, which is not yet available in large amounts.